It seems that no country can defeat South Korea as it boasts an average of fastest Internet connection speed in the world. In a recent quarter annual report delivered by Akamai said that South Korea, Switzerland, Hong Kong, Sweden and Norway boasts an average Internet speed of 18.7, 19.9, 20.6, and 21.6 respectively. Highest average peak connection at 146.9 Mbps (Singapore) and Lowest common connection at 25.5 Mbps (India). The first quarter of 2016, it is found that two Southeast Asian nations achieved Top place to adopt IPv6: Malaysia and Japan contribute 13% and 8.6% of the total IPv6 adoption respectively. South Korea always has a consistent growth in Worldwide. Here in the below figure, you can see Top 10 Average connection speed IPv4 in Q1 2016 and Top Average peak connection speed IPv4. South Korea is maintaining its position as the fastest average connection speed of 29 Mbps. 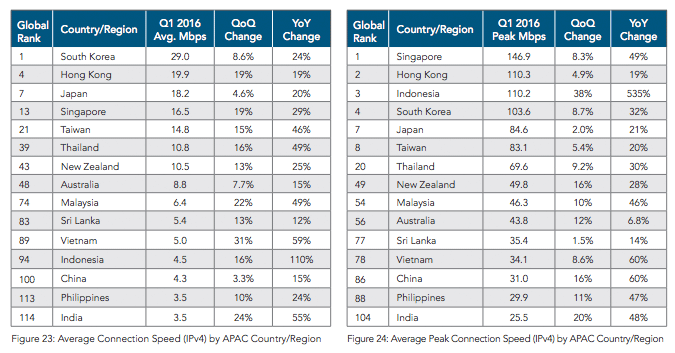 And Singapore also recorded as the top highest average peak connection speed at 146.9 Mbps. 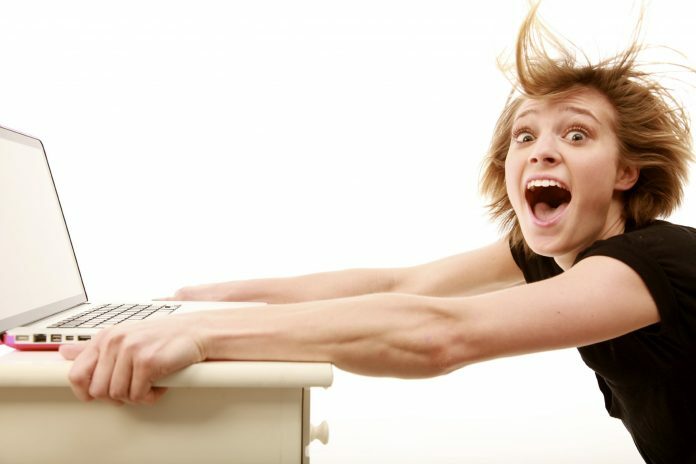 South Korea stood at the world’s top position in Internet connectivity about 92.4%, or 45 million people use the Internet. Thus, there is a substantial growth in digital space in South Korea. In 2015, South Korea Internet speed was recorded as 26.7 Mbps and its peak Internet connection speed is reported as 95.3 Mbps according to the report State of the Internet published by Akamai Technologies. South Korea also faces criticism from the executive chairman of Google; Eric made a negative remark on South Korean internet environment for falling “a little bit behind” due to government regulations during a conference with Korea Communications Commission Choi See-Joong. The United States never make the top 10 categories concerning as fastest Internet connection and US ranked in no. 16 with an average Internet connection speed of 15.3 Mbps, a 7.7% rise from the prior quarter.